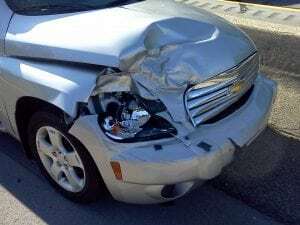 Penfield, NY (October 5, 2018) – A motor vehicle accident that took place in Penfield was reported to have resulted in injuries on Friday evening, October 5. The crash which occurred on Highway 441 at Fairport Nine Mile Point Road was stated to have happened at approximately 6:19 p.m. Authorities who reported on the accident stated that it took place in the westbound lanes of Highway 441. Injuries were confirmed to have been sustained in the accident, although there was no mention of how many victims were involved. Emergency medical personnel were quickly on the scene along with police to assist any victims. The extent of injuries suffered as a result of the crash has not been made clear at this time. There were no further details provided in regard to the events that led to this incident. Police are currently investigating the crash. We would like to offer our sincerest condolences to anyone who may have been injured in this collision as we warmly wish for their full recoveries. Be it excessive speeding, drowsy driving, distracted driving, DUI, or any other form of negligent operation of a vehicle, New York car accidents happen all too often for a wide range of reasons. It is terribly important to realize that as a victim of someone else’s negligence, you have rights. At Hach & Rose, our empathetic New York accident lawyers are devoted to serving those who have been affected by the negligence of other drivers. If you have been hurt in a New York car accident, please don’t hesitate to call us at 212-779-0057 and let our experienced attorneys go to work on your behalf.